Location and breakfast at the restaurant. Friendly staff. Comfortable atmosphere and close to KOC facilities as they are our client. Staff very helpful and really friendly. Room normally upgraded to a huge suite. relatively close to the refinery district. Excellent staff, good size room, comfortable bed, location next to Alkout mall and Yal mall and local market, also close to the Refinery. 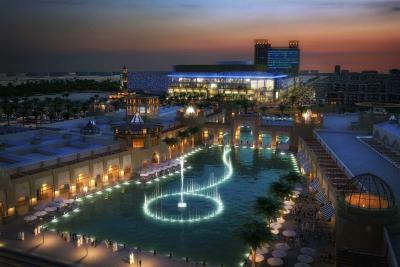 Hyatt Regency Al Kout Mall is a 5- star business hotel in Fahaheel area, directly connected to the new Al Kout Mall, Kuwait’s Largest Waterfront Retail and Leisure Destination, offering guests 246 retail outlets and a modern 12-screen cinema. It is strategically located in the heart of the oil and gas district, 25 minutes away from Kuwait International Airport and 45 minutes’ drive to Saudi border. The hotel features 200 luxurious rooms and suites, and all rooms are equipped with IP telephony, high speed internet, LED TVs and kitchenettes. The hotel also offers a variety of food and beverage facilities. 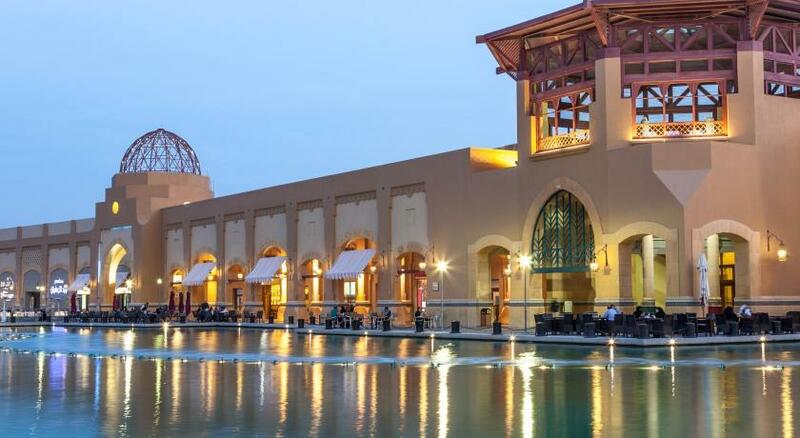 Hyatt Regency Al Kout Mall has state- of the art conference and banqueting facilities fulfilling the requirements of meetings, seminars and events. Al Kout Ballroom and Meeting rooms provide a multi-purpose venue complemented by an elegant Board Room. All equipped with high technology facilities such as remote controlled built in LCD projectors and screens along with a modern lighting system that can be adjusted according to the need of the guests, built in speakers and up to date sound systems. The hotel other facilities include a state of the art Club Olympus Leisure and Fitness Club featuring temperature controlled rooftop swimming pool, massage rooms, Sauna, steam room and Spa as well as Business Centre. Hyatt Regency Al Kout Mall – kdy chcete přicestovat? The 39 sqm Classic Room offers a king size bedroom with direct city or sea view. All rooms are equipped with a kitchenette, a microwave, tea/coffee making facilities, a mini bar, an LED TV, an in-room safe, an iron & iron board and complimentary wired and wireless internet access. The 57 sqm Classic Suite offers a king size bedroom, a separate living room, a dining area and a kitchenette with direct city of sea view. All classic suites are accessorized with 2 LED TVs, IP telephony, complimentary wired and wireless internet access, an in-room safe, a mini bar, a microwave and tea/coffee making facilities. The spacious 63 sqm Deluxe Suite offers a king size bedroom, a separate living room, a dining area and a kitchenette with direct city or sea view. All deluxe suites are accessorized with 2 LED TVs, IP telephony, complimentary wired and wireless internet access, an in-room safe, a mini bar, a microwave and tea/coffee making facilities. This spacious 116 sqm Premium Suite offers 1 king size bedroom and 1 twin bedroom with separate toilet in each room completed with luxurious bathroom amenities and a fully equipped kitchen. All Premium Suites are accessorized with 3 LED TVs, IP telephony, complimentary wired and wireless internet access, an in-room safe, a fridge, a mini bar and tea/coffee making facilities. Offering views of the city and the Arabian Sea, this 39 sqm room is located on a high floor. It features a smart work area and a modern marble bathroom with a hairdryer, bath toiletries, and robes and slippers. A 65-inch smart flat-screen HDTV, coffeemaker, and small refrigerator are provided, as are ironing facilities and heating and air conditioning. 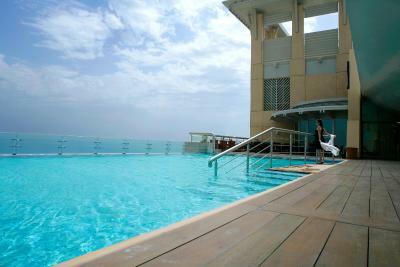 Offering views of Fahaheel city or the Arabian Sea, this 39 sqm room is located on a high floor. It features a smart work area and a modern marble bathroom with a hairdryer, bath toiletries, and robes and slippers. A 65-inch smart flat-screen HDTV, coffeemaker, and small refrigerator are provided, as are ironing facilities and heating and air conditioning. Experience apartment-style living in this 116 sqm, 2-bedroom suite. It offers a separate living and dining area as well as a kitchen and 2 bathrooms. Bath toiletries, a hairdryer, and robes and slippers are provided. Enjoy the 65-inch smart flat-screen HDTV, ironing facilities, and heating and air conditioning. This 57 sqm suite features a separate living and dining area as well as a kitchenette and a marble bathroom complete with bath toiletries, a hairdryer, and robes and slippers. Enjoy the 65-inch smart flat-screen HDTV, ironing facilities, and heating and air conditioning. This 39 sqm room overlooks the city or the Arabian Sea and features a smart work area and a modern marble bathroom with a hairdryer, bath toiletries, and robes and slippers. A 65-inch smart flat-screen HDTV, coffeemaker, and small refrigerator are provided, as are ironing facilities and heating and air conditioning. This 39 sqm room overlooks the city or the Arabian Sea and features a smart work area and a marble bathroom with a hairdryer, bath toiletries, and robes and slippers. A 65-inch smart flat-screen HDTV, coffeemaker, and small refrigerator are provided, as are ironing facilities and heating and air conditioning. This 63 sqm features a separate living and dining area, kitchenette and a marble bathroom with a hairdryer, bath toiletries, and robes and slippers. 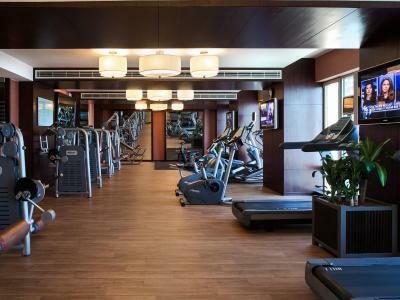 A 65-inch smart flat-screen HDTV, ironing facilities, and heating and air conditioning are provided. 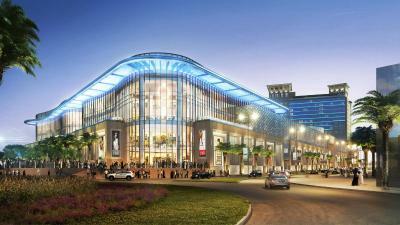 Právě rezervováno v destinaci Kuvajt Byla v posledních 15 minutách vytvořena rezervace v 2 ubytováních , jako je Hyatt Regency Al Kout Mall. Podmínky ubytování Hyatt Regency Al Kout Mall může vyhovět Vašim požadavkům, napište je v příštím kroku. Hyatt Regency Al Kout Mall přijímá platbu těmito kartami a vyhrazuje si právo na dočasné zadržení příslušné částky před vaším příjezdem. Please note that the 15% City Tax will be calculated on the total amount including the Service Charges. Please note that guests must use a valid credit card at the time of booking. Debit cards can only be used upon arrival at the property. Couples wishing to share a room must provide their original marriage certificate. Informujte prosím Hyatt Regency Al Kout Mall o svém předpokládaném čase příjezdu předem. Tuto informaci můžete napsat do políčka pro zvláštní požadavky při rezervaci nebo se obraťte přímo na ubytování. Kontaktní údaje jsou uvedeny v potvrzení rezervace.